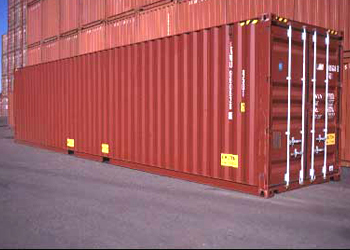 We sell New and Used shipping containers from our Houston and Dallas locations. We also sell new and used shipping containers throughout the U.S. in most locations. We have over 30 years of experience in selling the best quality new & used shipping containers in Houston and Dallas Texas. We manufacture our own line of steel ISO shipping containers and DNV 2.7-1 Certified containers with our own BIC prefix SHOU that is specifically registered to our company. We offer new and used steel shipping and cargo containers in Houston and Dallas, in all sizes with a certified maritime inspection with pictures. Our inspections are performed by a 3rd party inspection company to guarantee complete objectivity. You are always guaranteed a cargo-worthy and wind and water tight shipping container. As the leading Houston and Dallas shipping container company, we ensure the highest quality containers at the most affordable prices. We offer transportation services to deliver all of your equipment to any given destination. We can provide next day cargo container delivery to most areas! We offer both new and used shipping containers in Houston and Dallas. Find a range of sizes as well as flat rack, open top and high cube containers. 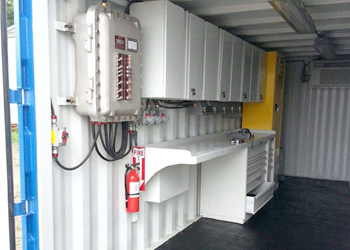 We offer modifications from our fabrication shop for any type of container; office units and tool rooms, to explosion proof DNV modules for offshore applications. 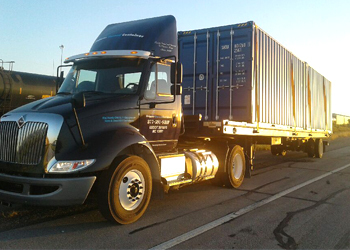 With over 30 years of experience, we are the top Dallas and Houston shipping container company. We offer considerable project experience throughout the Shipping and Transportation industries in the U.S.
During this time we have executed hundreds of projects both large and small. We possess strong import/export knowledge and can help you at all stages of your project with all your container needs. All our projects receive quality equipment that has been inspected and certified by a certified Marine Inspection firm to “cargo worthy” standards, and has an updated CSC plate. All you have to do is load your freight, seal it and deliver it to your destination. Our units are accepted by all the major shipping lines in the World. Talk to the professionals at Shipper Owned Container and see how we can help to make your next project a success. If you’re seekling Houston shipping containers, talk to the professionals at Shipper Owned Container and see how we can help to make your next project a great success. Next day Dallas and Houston shipping container delivery offered in most areas!